The Nomad Transformer Scene Light from Foxfury deploys quickly with no need for a generator and cables, providing up to 14,000 lumens in spotlight, floodlight or 360° scene-light configurations. Runtimes range from three hours on high power to 24 hours on the 2000-lumen low setting. 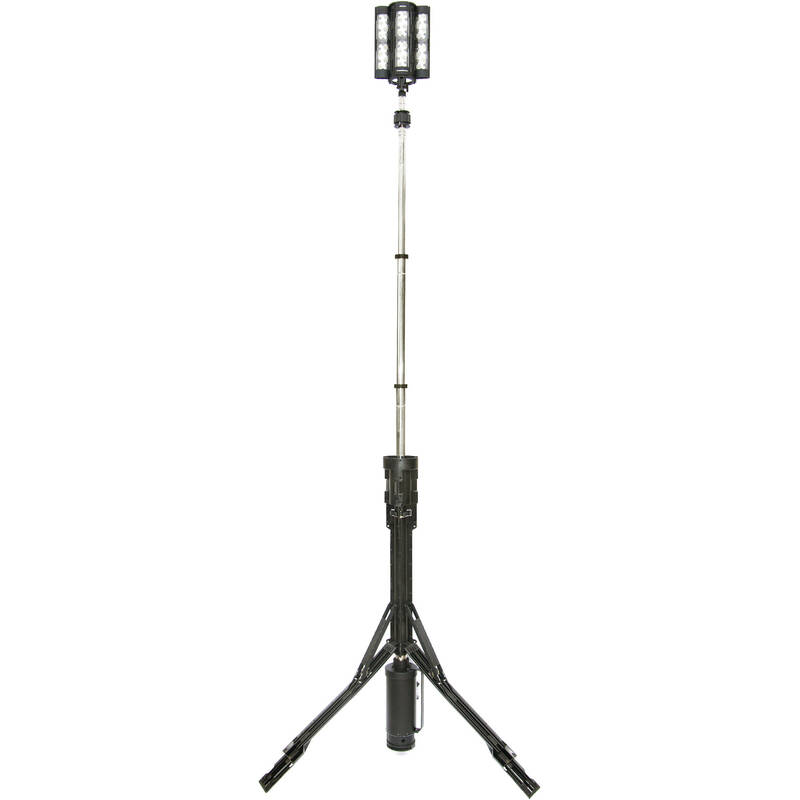 The Nomad Transformer consists of a light head, a power pack and a telescoping tripod that extends to 12.5' high. It is designed to be set up in 60 seconds and weighs a total of 65 pounds. The light head can be used as a 12° spotlight, a 120° floodlight or a 360° scene light. The power pack will run the light head at full power for 3 hours, at the 5500-lumen medium setting for 4 hours, or at the 2000-lumen low power setting for 24 hours. The light can also run on AC power. A remote key fob can be used to turn the light on and cycle through its settings. The base of the cylindrical power pack has a stabilizing foot and the three legs of the Tripo-Scope tripod have anchor points, to stabilize the erected light. A leash attaches to the light head and the Tripo-Scope post for extra security in windy conditions. The light head can be used atop the power pack, without the Tripo-Scope, in tight situations.